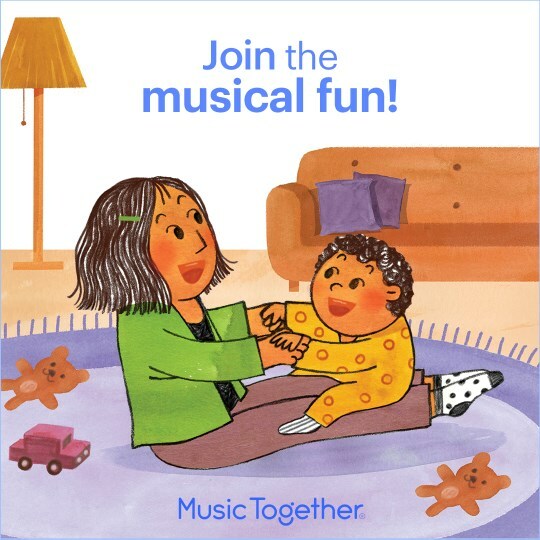 West Essex Music Together - Try a Babies-Only Class for Free! Try a Babies-Only Class for Free! Every baby is born wired for music and all children benefit from early exposure to music and movement. In our Babies-Only classes, we’ve created a warm, welcoming environment that supports your baby’s natural musicality—and their overall development. You’ll learn lots of ways to interact musically with your infant, and as you sing, laugh, and learn together, you’ll bond with your child and the other new parents in your class. This is a one-semester class, after which babies and their grownups attend mixed-age classes. The music activities and materials are specially designed for parents who want to learn as much as possible about music development in babies. Please come try one of our Babies-Only classes. You will love this incredible time with your baby—moms, dads, and extended family members are ALL welcome to come! Find a free trial class here.